Command an ancient set of Mah Jong tiles to restore balance to the empire. "The beautiful full-screen scenes make the game so much fun. 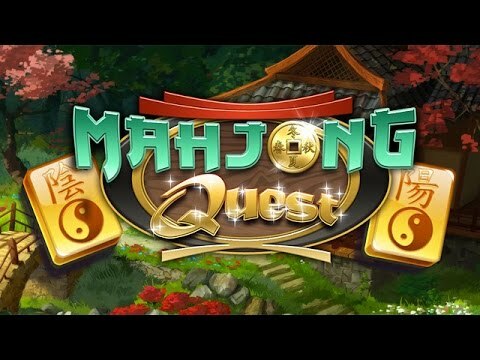 Mah Jong Quest games are my very favorite of all Mah Jong games. Interesting with just enough challenge to exercise your mind. Yin and Yang are the balance of life as shown in this impressive story line." After three dragons wreak havoc over the empire, young Kwazi must use an ancient set of Mah Jong tiles to restore balance. Enjoy sweeping animations as you help Kwazi journey through the Orient, meet wise animal guides, and use an amazing array of special tiles to solve tricky puzzles. Choose from over 150 Classic and Puzzle layouts to improve your skills or just to relax your troubles away. This game offers 3 different venues of play: classic boards , timed quest and then similar games with interesting characters or play sequences. This is a fun game but not so fast paced that you can't enjoy the graphics or sequences. I enjoy playing Mah Jong Quest because as the game proceeds you, the challanges get harder and harder and then you really have to use your brain. The game starts and plays just as I remember from years ago when it first came out. Great game, lots of fun, quite addictive and a very fun game to play. Even though this game is old, it will always be one of my favorites.